Some birds that we don’t usually see there, that is. The first were a couple of American wigeons. After that it seems to be an usual day. There was a great blue heron fishing. And a flicker watching us carefully. But then we realized it was not us flicker was looking at. It was a couple of juvenile bald eagles on a nearby tree. Then we’ve seen a couple more. A bit unusual but we’ve seen bald eagles here before. And then something completely unexpected. 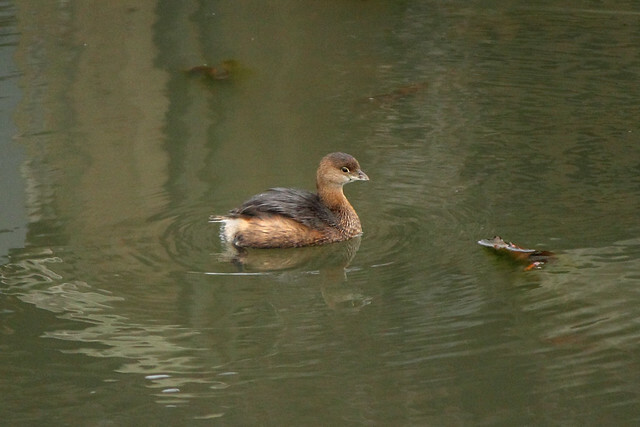 … and a small Pied Billed Grebe. For the last one, San says it is pretty usual in Vancouver, but I must say I have not seen it too often – or I was just not paying attention. Ring Billed gull. All the photos from Terra Nova Rural Park (from previous visits too) are here. Was this all in one day? All birds in this post, yes. The ones in my Flickr account are from several visits. Four, I think. Wow, that’s amazing. I’d love to go somewhere like that. Gonna have to hit the web and see what’s around. We need something local enough for Kim to travel, and hopefully schoolchild free. Bit by bit we build our list of safe places. She wants to go here – http://cuteoverload.com/2015/02/06/next-stop-fox-village/ Bit far though. I know that “…” That’s Serbian for, I’ll use my gigantic legs to step over the sea and pick you up, put you in my suitcase and smuggle you guys there. Good birdwatching collection! 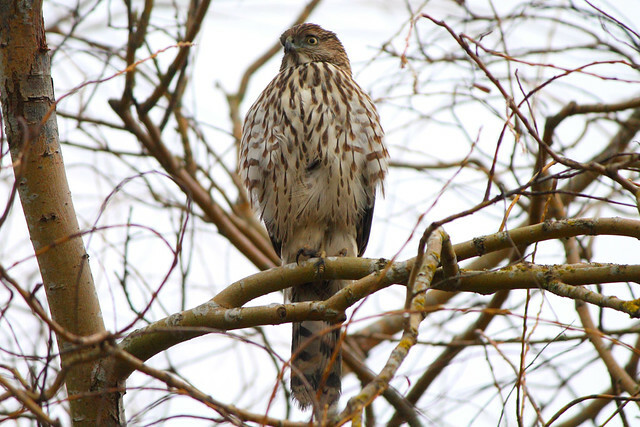 The identification of buteo hawks (including Swainson’s) is very hard because they come in so many colour morphs. It’s a nightmare in Saskatchewan because there’s so many different species there. The flicker’s cute, and the eagle is magnificent, of course. Thanks! We identified Swainson’s hawk by the photograph on-line where the bird was having the same exact colours. But for other one it was almost mission impossible because it didn’t fit in anything we’ve found, both in books or on-line. Lovely pictures. widgeons, they’re weird. It’s like a duck and a pigeon? They seems strange to me. The pied billed grebe is so cute!! It is very cute! Almost like a cartoon. A great selection, and I just love seeing all those birds of prey. It seems your cousin is right, I checked some photographs on line using that name and they all look like the hawk we saw. Thanks!